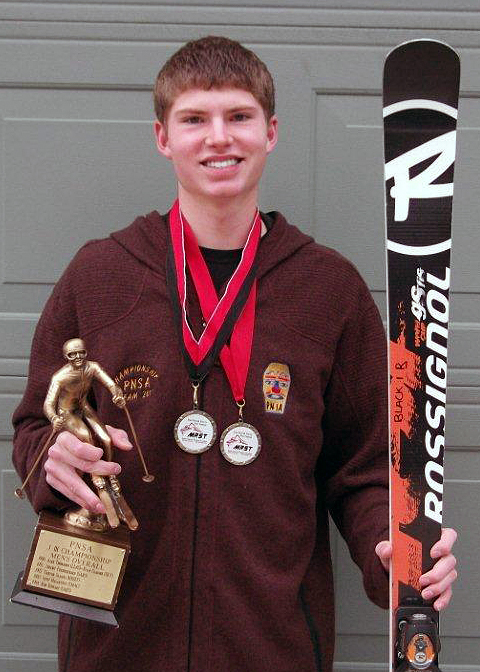 World Cup Supply (WCS), Ski Racing Development (SRD), and Shred are pleased to announce that the winner of the 2011 SRD/WCS/SHRED “Fast Skier” Junior Alpine Scholarship Fund award is Andrew Black of Spokane, WA. A 2nd year J3 out of the Schweitzer Alpine Racing School (SARS) at Schweitzer Mountain ID, Andrew has not only posted solid results on the race course, but also exemplifies the personal characteristics that the award represents: excellent academic achievement, extensive community involvement, and incredible drive and focus as an athlete. Andrew was invited to the Topolino Shootout, made the J3 Junior Nationals as a first seed for the PNSA and won the PNSA Overall J3 Men’s title. As the recipient of the 3rd annual scholarship award Andrew will receive$1,000.00, an Athlete’s pack and a 2012 speed suit from SRD, a Winter Storm Coat from WCS, and a Shred race helmet and goggle package. In its third year, the Fast Skier Scholarship recognizes a J3 racer who is well rounded athletically and academically and gives back to his or her community. "The caliber of applicants was extremely high this year and Andrew really stood out amongst the 80+ athletes who we heard from. He is truly a well-rounded individual who has his 'head in the right place': solid race results on the hill, a 4.0 GPA, Eagle Scout, and a long list community service activities. We had difficulty figuring out when he sleeps. What is really encouraging to see as we make this third scholarship award is the fact that the kids involved in the sport today are setting themselves up not only for success on the hill, but more importantly success later on in life and that is what we are trying to promote." Commented Brad Williams of World Cup Supply.